If you are a tattoo artist, you have to remember that people trust you to ink their skin permanently, so you have to remain professional at all times in order to give your customers confidence that you can do the job properly. 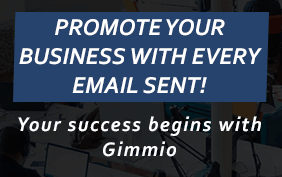 An email signature goes a long way to ensuring that you appear professional to your clients. 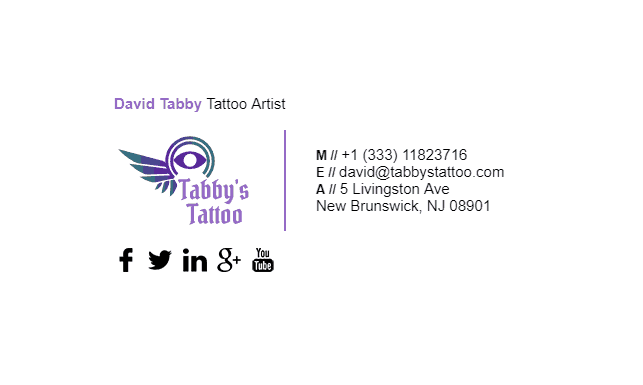 Tattoo artists are usually seen as creative, so make sure that your email signature sticks out and looks different from the rest. 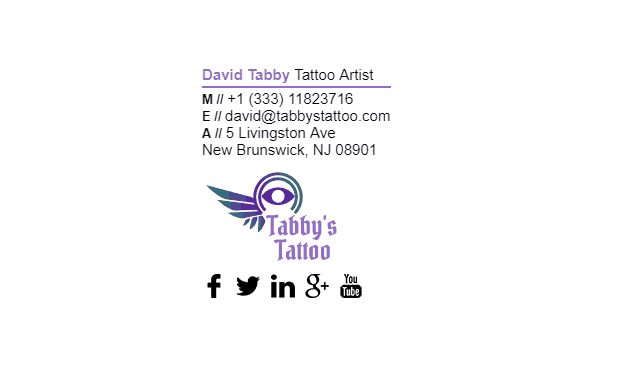 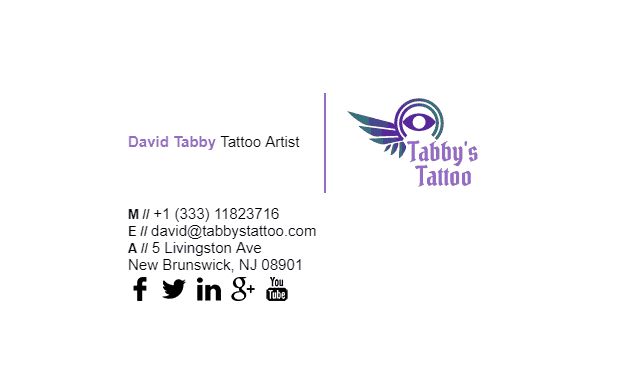 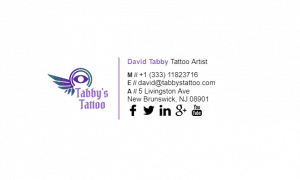 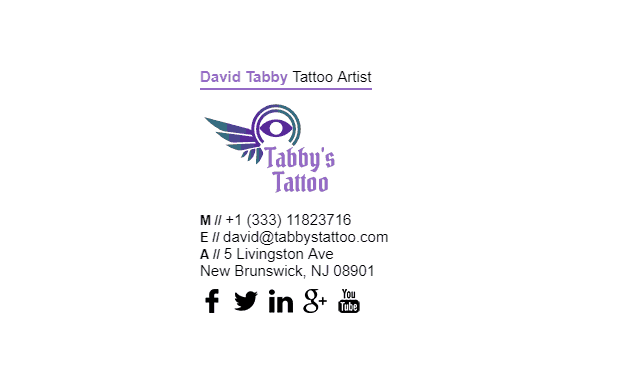 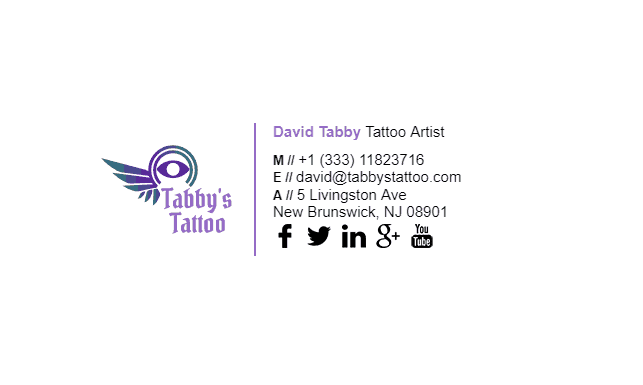 Check out our tattoo artists email signature examples below. 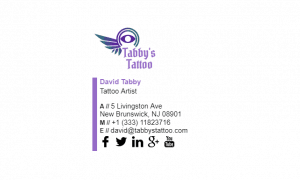 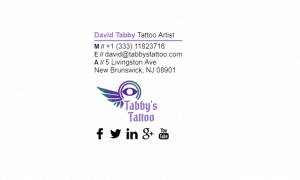 What Should Be Included in a Tattoo Artists Email Signature?